This all biomes Minecraft bedrock seed spawns you close to a desert temple and a village, which makes it awesome enough to begin with. 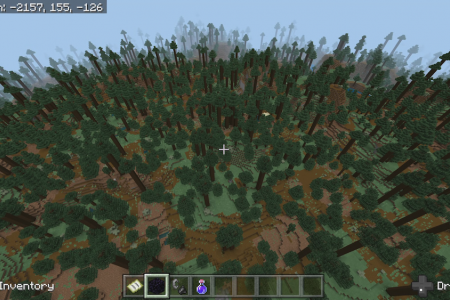 What makes this seed even better is that you will find pretty much all biomes within 5k blocks of spawn. 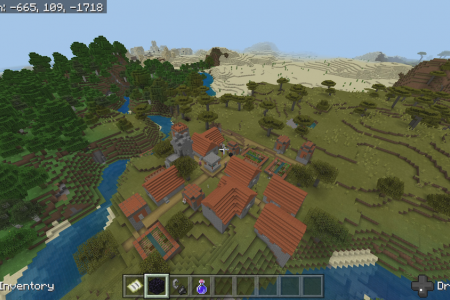 There are tons and tons of villages and structures as well and I include the coordinates to them all. 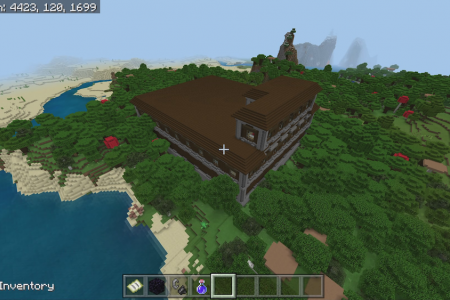 I’m serious- I include coordinates for 12 villages, 4 desert temples, 2 jungle temples, 2 Ocean Monuments, 2 igloos, 2 witchs huts, podzol, a zombie spawner, and so much more. 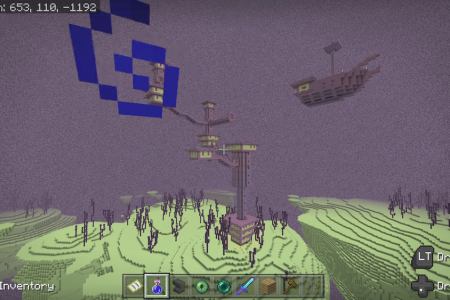 I always include coordinates for the nether, fortress, and an end ship and city. 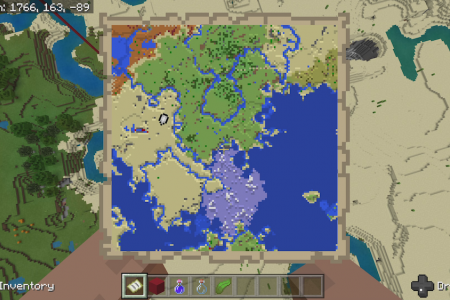 Spawn map itself has 6 different biomes, including a mesa/badlands, savannah, desert, plains, frozen ocean, and a warm ocean. 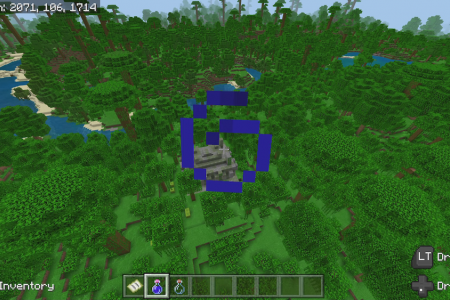 However you’ll find coordinates for every other kind of biome accept a mushroom field. I haven’t found one, YET! 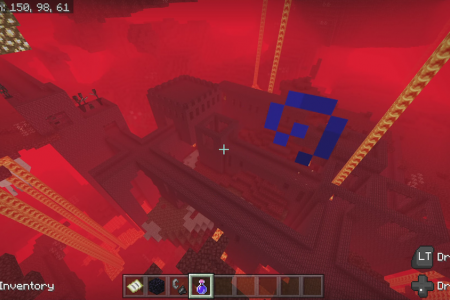 So if you find coordinates please let me know in the comments on the youtube vid. 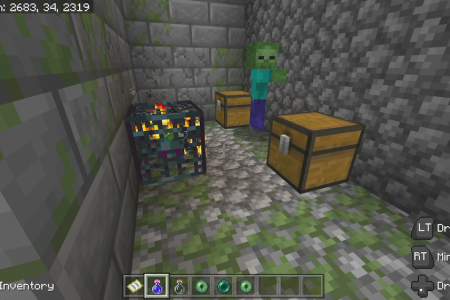 In order for you to create the same seed, you will need to use the seed number (including a “-“ if there is one) as well as use the same world type for this Bedrock edition/Better Together seed. If you don’t use the same world type you won’t get the same map.